Earthworm castings are nature's most perfect fertilizer. And Black Castings™ are the best of the best. They will never burn plants. Certified Organic and OMRI listed. Read how to tell the difference between vermi-compost and vermi-castings. Harmless to pets and children. They can play on the area immediately after application. Use soil balancer for worry-free transplanting. 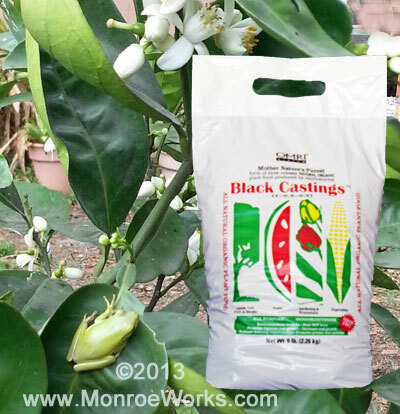 Applying VermaPlex® along with Black Castings™ takes the "shock" out of transplanting. Use VermaPlex® when sowing seeds and see them sprout in record time. Your plants receive all the continuous slow-release nutrients they need from the vast quantity of microbes contained in Black Castings™ and VermaPlex®. Lush growth and vivid colors don't have to be at the expense of the earth. As you use these worm castings and liquid soil inoculant fertilizer, you are improving your soil while growing and enjoying your flowers and plants. 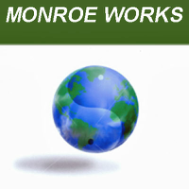 Check out our latest article: What is the difference between vermicompost and earth worm castings?